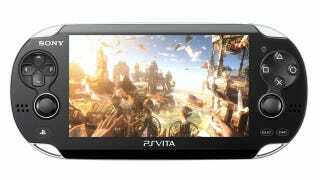 Some people expected that Monday’s announcement would be about the fate of the PlayStation Vita BioShock game, which was announced during Sony’s E3 press conference in 2011. But, a tweet from Levine shot down any such speculation. I asked him about the status of BioShock on Vita when we spoke on Monday. “I have conversations,” Levine said. “I’ve talked to all the parties in the past couple of weeks.” So it still sounds like a handheld BioShock experience on the Sony portable is a thing Levine is trying to will into existence. But, it’ll take some sort of agreement between the powers that be at two video game mega-corporations to actually make the thing happen.